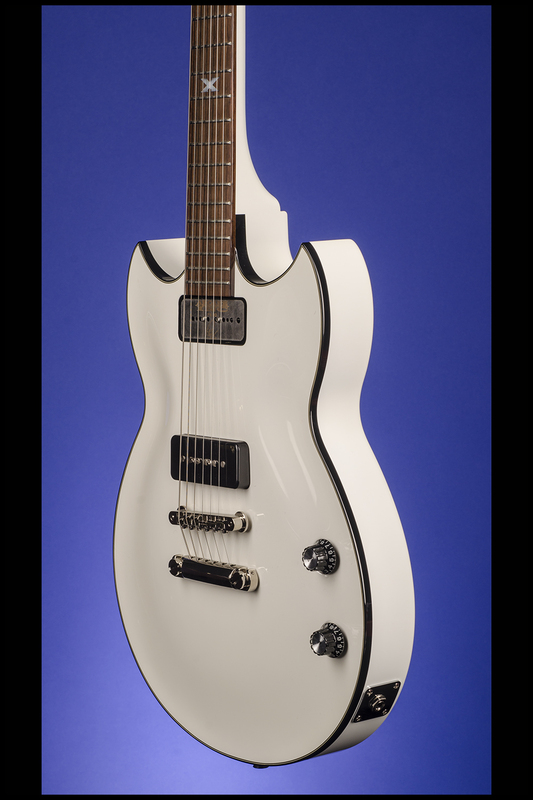 Phil X SG1801PX Guitars | Fretted Americana Inc.
2013 Yamaha (Japan) Phil X SG180PX. 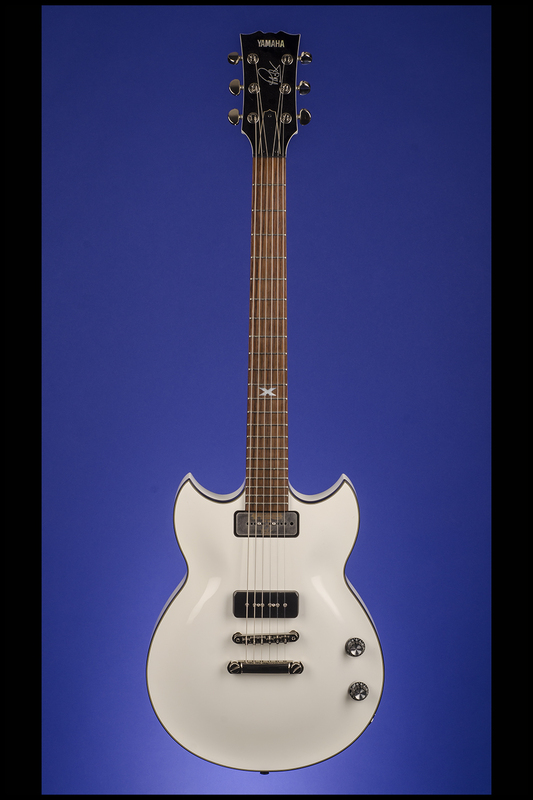 This is one of just twelve SG1801PX guitars specially made in 2013 with a solid carved mahogany body weighing 9.20 lbs. 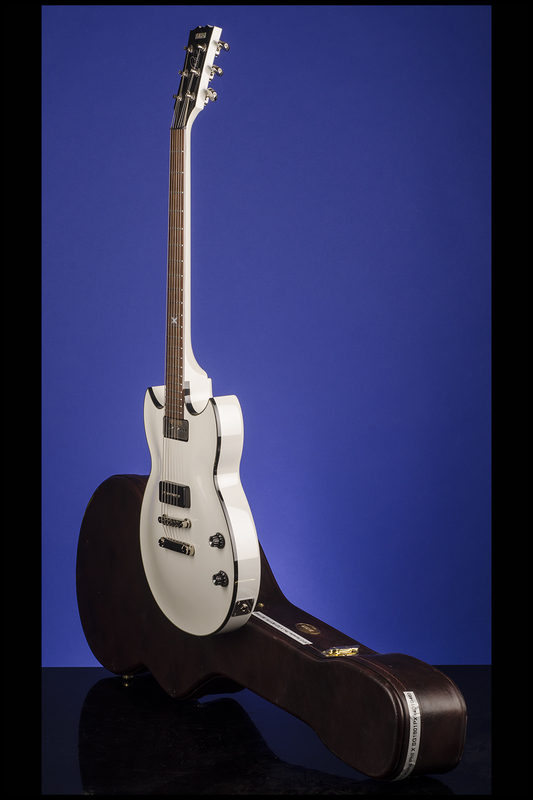 One-piece mahogany neck with a nice fat nut width of just over 1 11/16 inches, a scale length of 25.00 inches and a wonderful medium-to-thick profile. 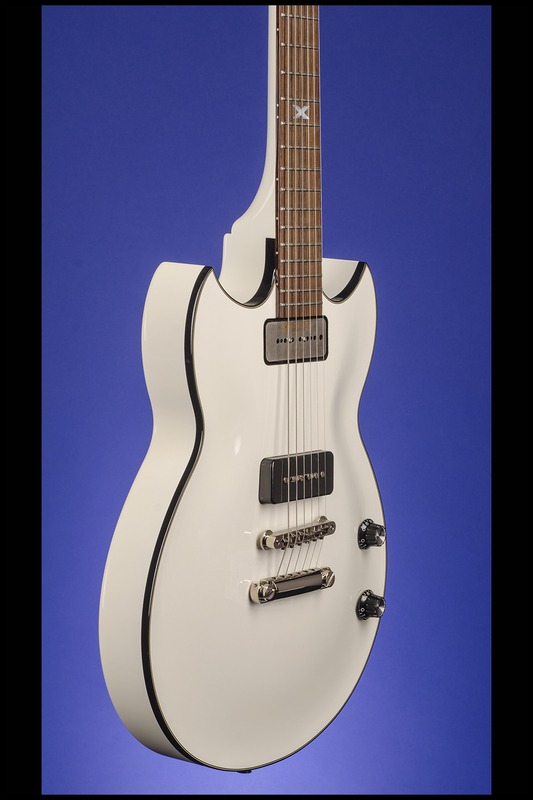 Rosewood fretboard with 22 original jumbo frets and Inlaid pearl "X" at twelfth fret. 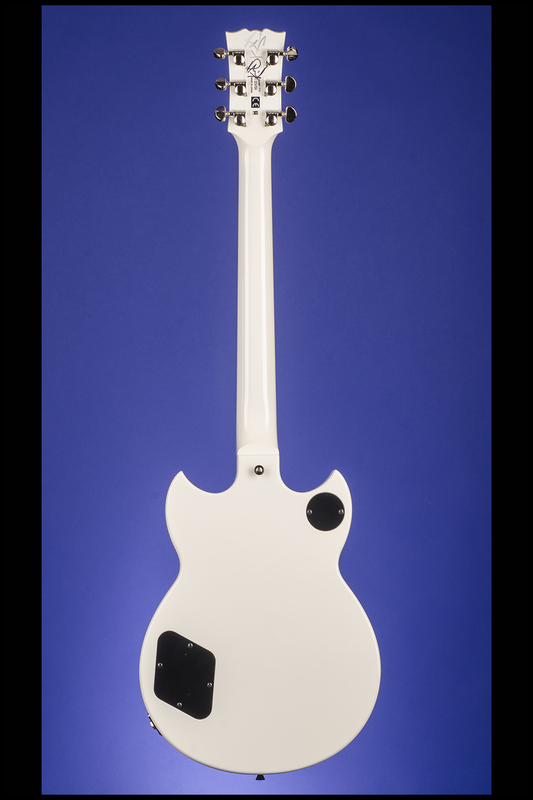 Black faced headstock with inlaid pearl "Yamaha" and two-layer black over white plastic bell-shaped truss-rod cover with three screws. 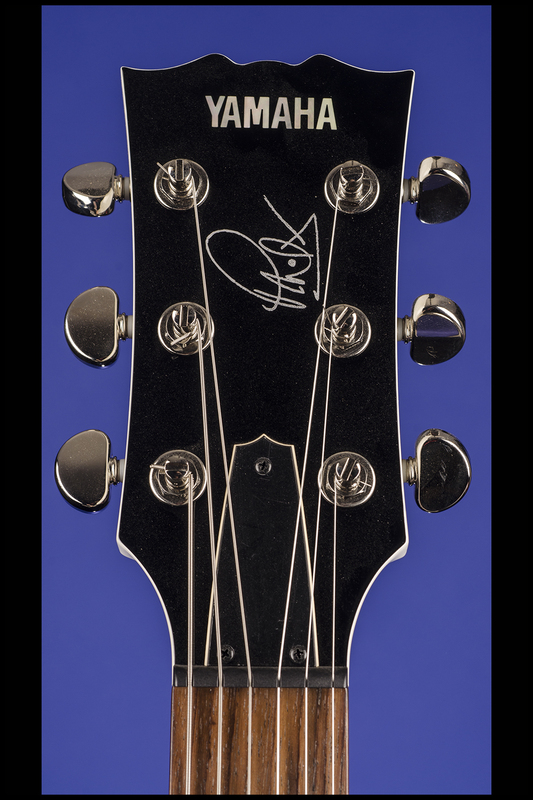 The back of the headstock has the model "SG 1801PX" and serial number "H1X505E" stamped in black. Individual Grover 'Rotomatic' self-locking tuners with half-moon metal buttons. 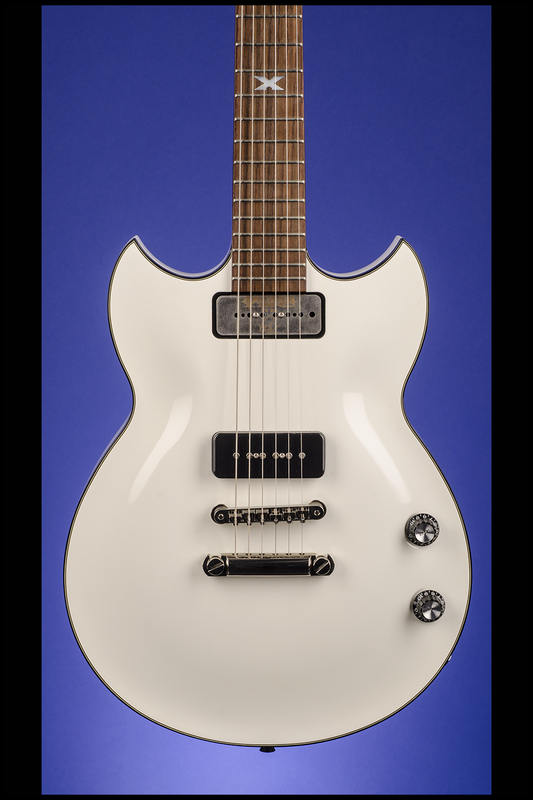 One Arcane PX-90 pickup in the bridge position with a really hot output of 11.56k. Two controls (one volume, one tone) on lower treble bout. Black plastic control knobs with ribbed sides and metal tops. 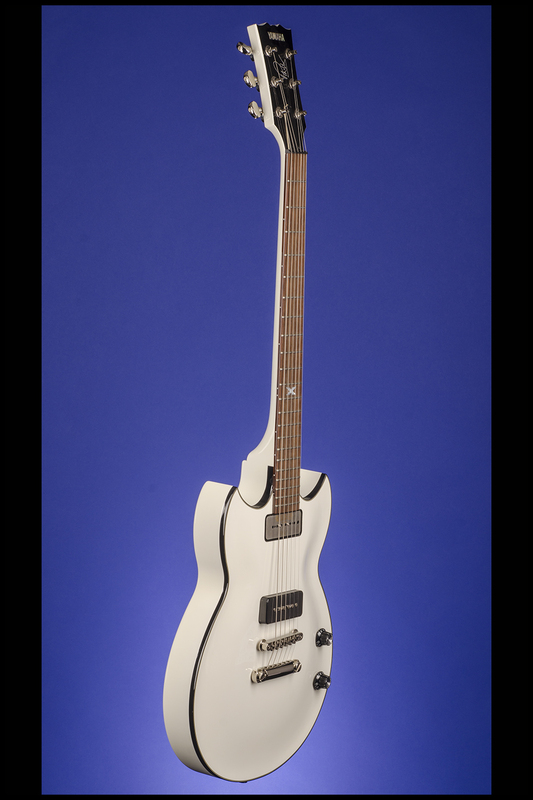 ABR-1 Tune-O-Matic style bridge with metal saddles, separate stud tailpiece. 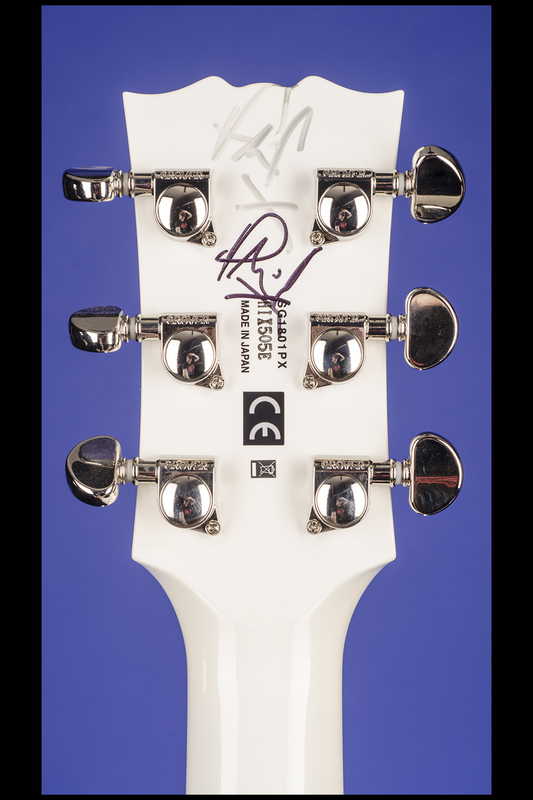 This very special guitar has been signed in silver marker and black marker by Phil X on the back of the headstock and is in mint (9.50) condition. Complete with the original Yamaha certificate of authenticity signed by Phil X and the original Yamaha assembly card signed by the Luthier. Housed in the original Yamaha three-latch, shaped brown hardshell case with olive green plush lining (9.50). 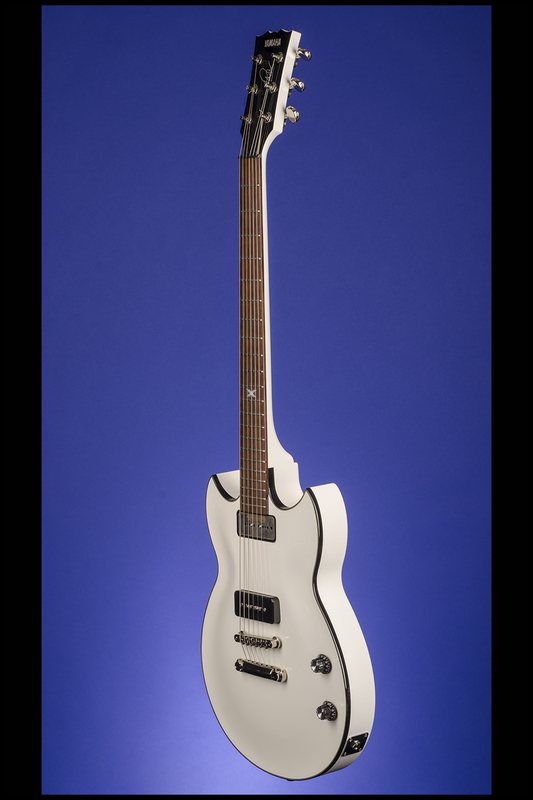 There were just twelve of these guitars made in 2013. They were only for sale in Canada and one (serial # H1Y506E) was stolen from us in November 2013. This is the first time that we have offered one of these rare and collectible guitars for sale.